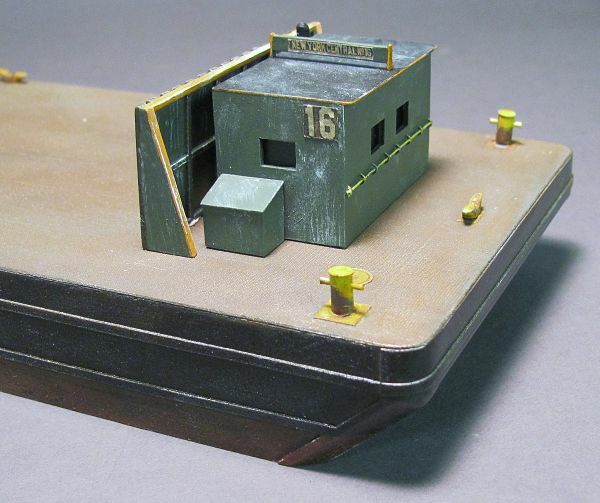 This add-on kit when combined with our GMA Barge kit will accurately represent a GMA deck scow complete with Captain's Cabin, Cargo Bulkhead, and Storage Bins. When the GMA series was introduced in 1951 many of the barges came equipped with these cabins to house a live aboard captain. (Nowadays we would call him a security guard.) The real captain's cabin came equipped with a bunk, a desk, and a coal stove for heat. The captain would often be an older, retired sea captain content to spend his golden years in a less demanding role. 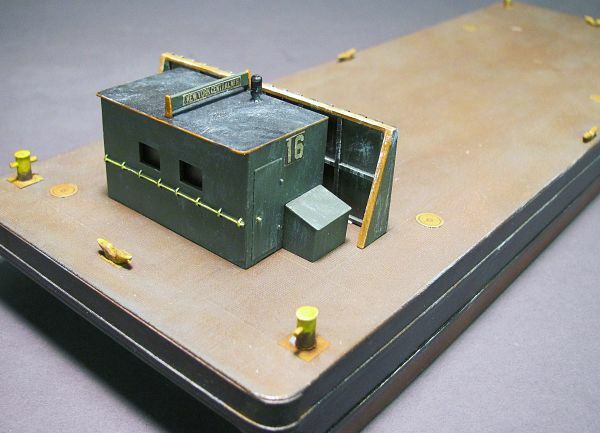 Kit comes with a one piece cast resin captain's cabin, bulkhead, and 2 storage bins (one was for coal and one was for gear). Placement template included.